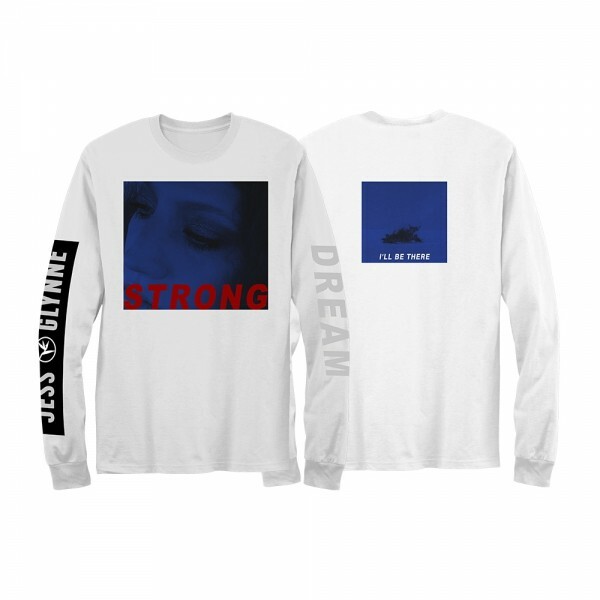 The Strong White Sweater features ‘Strong’ printed in red over a black and blue image of Jess Glynne on the front. The back design features a similar image with ‘I’ll Be There’ printed on top. The right sleeve displays ‘Jess Glynne’ in black and white print, the left sleeve features ‘Dream’ in cream print on the white sweatshirt.